For every company implementing Model-Based Definition (MBD), there is a laundry list of successes, challenges, and failures discovered along the way. The good, the bad, and the ugly. Clint Eastwood and friends, if you will. What is learned from these, and how they transform the organization along its Model-Based Enterprise (MBE) journey, can define MBD’s real and perceived successes by the employees and organization as a whole. Ryan Gelotte will take us along on TE Connectivity’s data-driven quest to find the MBD gold during his keynote at the 3D Collaboration and Interoperability Congress (3D CIC), happening in Golden, Colorado on October 25 & 26, 2016. Mr. Gelotte will present about TE Connectivity’s MBD/MBE goals and the good, the bad, and the ugly unearthed during their implementation of downstream model-based processes. 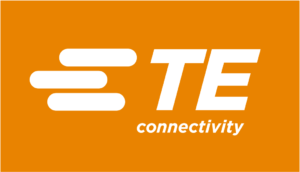 Abstract: TE Connectivity is a global company that designs and manufactures connectivity and sensor solutions for a variety of industries. With 72,000 employees in almost 50 countries that serve a diverse customer base comes a significant amount of diversity in how we design, develop, and manufacture our products. We have customers with short product lifecycles that need a new solution developed in weeks or months rather than years. We also have customers with lengthy product lifecycles that need high quality solutions that will be manufactured for many years, even decades. Over the past two years, TE Connectivity has implemented some great MBD design solutions. What we learned is that this is the easy part. The real work starts when downstream processes need to change to accommodate this new design paradigm. In extreme cases, entirely new processes need to be established. While there is significant value in using this digital product design data to automate processes and improve communication, there are also significant challenges and barriers with other processes that cannot be automated. These challenges need to be overcome in order to implement a Model-Based Enterprise. In short, the Model Based Enterprise MUST work for everyone in the enterprise to be successful. 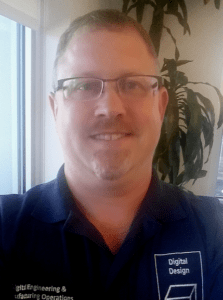 About the Presenter: Ryan Gelotte is a Senior Engineering IT Systems Analyst and MBD CAD Specialist for TE Connectivity’s Digital Enterprise Solutions. Ryan holds degrees in Plastics Engineering Technology and Mechanical Engineering Technology from Penn State Erie, The Behrend College. His career over the years has included a focus on all aspects of plastic part design and manufacturing, including mold design, as well as expertise of PTC’s various CAD and PLM systems. In fact, Ryan started his career as an Applications Engineer for PTC from 1998-1999 and, over the years, has provided training, support, and consulting services with PTC’s products for several companies. His experience in engineering systems, product design, and manufacturing have been instrumental in preparing him for the many challenges that come with implementing a Model-Based Enterprise. He enjoys the many challenges inherent to the engineering discipline and thrives off of finding new, better ways to accomplish superior results both in engineering and manufacturing operations. The 2016 theme for the 3D Collaboration and Interoperability Congress is Commercial Applications of Model-Based Business Process, focused on real commercial users sharing their MBD/MBE journeys and experiences. Join Action Engineering at 3D CIC in Golden, Colorado on October 25 & 26, 2016. Click here to learn more about and register for 3D CIC. Is is possible to get a copy of your presentation?